Written in conjunction with fellow testers and rad dudes, Colin Balke and Larry Banks, thanks guys! 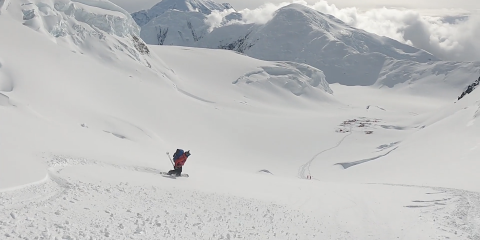 This is Ian’s twelfth season on a splitboard and seventh season testing gear. 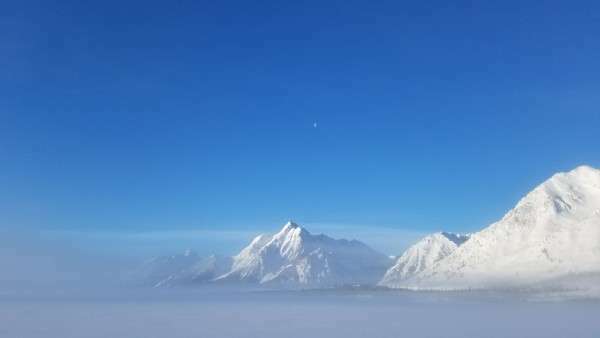 Ian began his backcountry foray in Colorado but it was the Tetons that stole his heart and reared him into the rider that he is today. 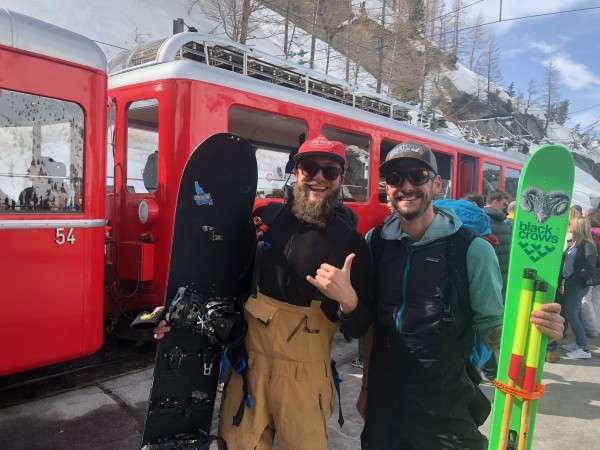 His past experiences with splitboards have been strictly rooted in snowsurf and mountaineering designs from Burton, Venture, Jones, Mervin, K2, Arbor, Rossignol, Trapper, Voile and now Ogasaka. Standing 5’11” and weighing 175lbs with a boot size in 10US. Ian wore Fitwell’s Backcountry and Solomon’s Malamute boots (both with custom Intuition liners) and Karakorams SL Prime binding. 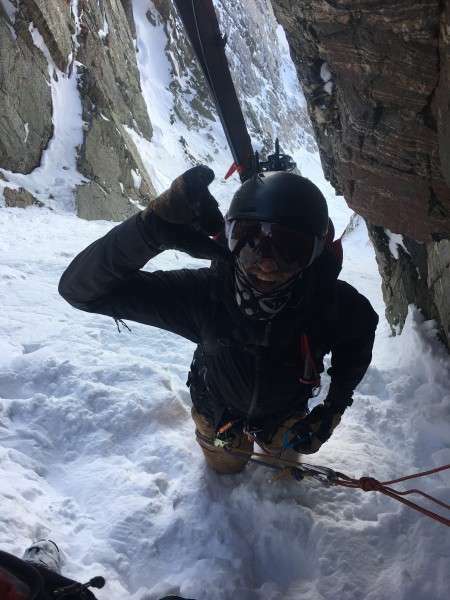 Ian: From the heavy spring summits of the Tetons to the dark and narrow couloirs of Chamonix and even some surprise late season bottomless powder in the Swiss and Italian Alps, Ogasaka’s Facet was thoroughly put through the ringer by Ian this spring. Larry: Co-creator of PanhandleBackcountry.com, with thirty years of snowboarding experience and 11 years splitboarding have led him to some pretty cool locales on rad gear with amazing people. Coming in at a svelte 220lbs of twisted steel, breaker of boards, bindings & boots. Destroyer of pants, jackets and gloves. Roller of snowmobiles. 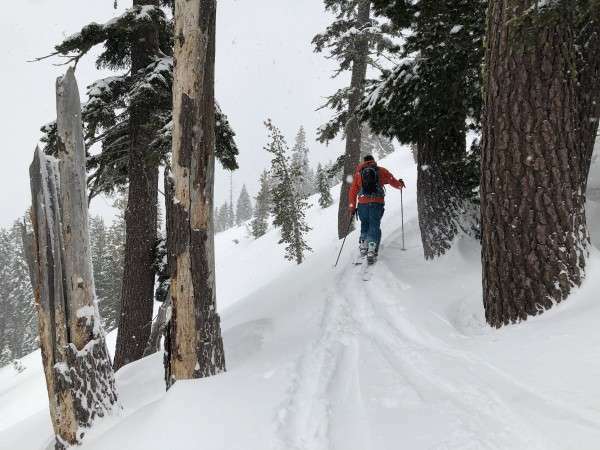 Larry pushed the Facet’s capabilities on the peaks of the Southern Selkirk and Bitterroot Mountains from hardpack groomer, blower pow and creamy pow. 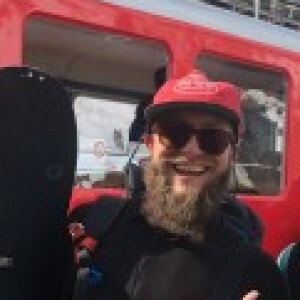 Colin: Content editor of Splitboard.com and one of the nicest guys in the industry. The man, the myth, the legend. Colin is a stand-up gentleman and family man who calls the Sierra home. His tests on the Facet led him to Coastal BC and the northern Sierra this last season. 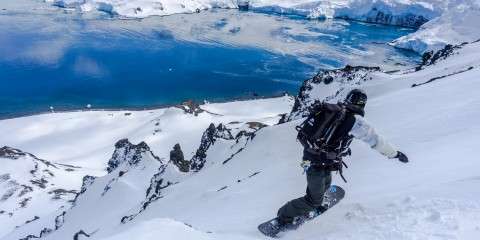 The Japanese splitboard? 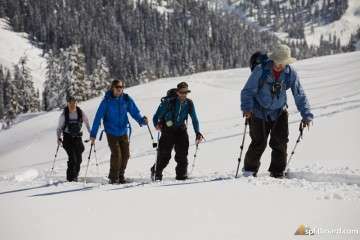 I thought they preferred snowshoes with solid boards? I’ve heard of Gentems Chopsticks before.. Why am I so familiar with Gentemstick and Moss, with their beautiful turns and smiling faces yet have never heard of Ogasaka? After speaking to Yasushi, lead designer at Ogasaka, I would learn the patience and precision that went into building this split and the reasons why the Facet had not been in my realm until now: heavy binding/hardware interfaces and not being satisfied with the weight and downhill ability. These were the thoughts buzzing around my American conscious late March when the Facet arrived at my door. Let’s backtrack a little bit. 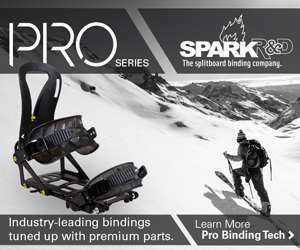 This review literally fell into my lap thanks to destiny and the boys at Splitboard.com and PanhandleBackcountry.com. In March I snapped a brand new, well known carbon splitboard (no name dropping), after just five days on snow. Five days! I couldn’t believe it. I absolutely loved the performance and feel of the split but it’s durability… not so much. 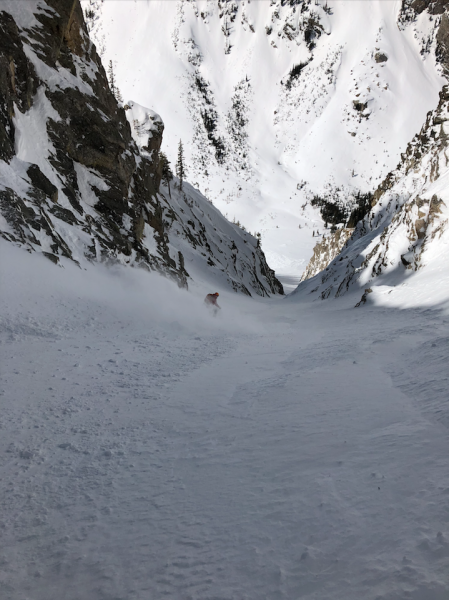 What’s worse, I needed a high performance split in a bad way as I was just weeks away from my first shred trip to the European Alps and midway through the prime spring season that is found high in the Tetons. With the Venture Storm and K2’s Ultrasplit, I had backups.. But something within me grasped for something fresh. A split that could keep up with serious athletes when it came to speed, performance and durability. 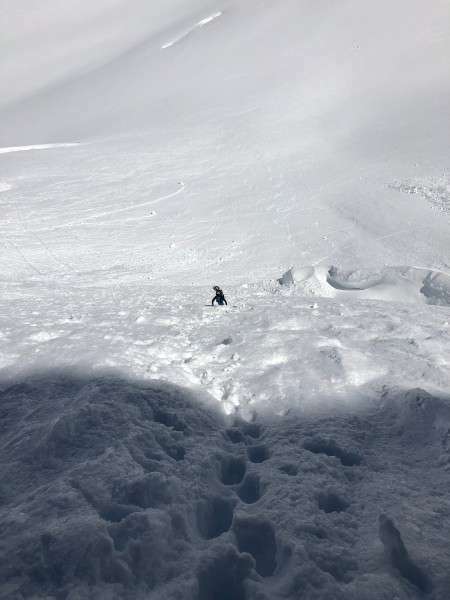 With numerous hut trips, guided tours and couloirs to boot DEEP in the Alps, I needed a miracle to take on the twenty eight day journey across the pond. This split had to be dialed, as my partner for the trip was a mountaineering phenom on the lightest and fastest Dynafit setup. So, I reached out to Colin at Splitboard.com to see if something special was available and he filled me in on this Japanese splitboard that he and Larry Banks, to put it frankly, were frothing about! Let the test begin! The blended core of Chinese Paulownia, Japanese Wing Nut, North American Poplar, North American Maple and Japanese Beeches really stood out in it’s flex, snap and dampening. I later learned of Ogasaka’s precise control of these wood cores and the pride they carry, “We are making woods into core through natural dry, forced dry, moisture control, special cutting method, special storing, controlled temperature, taking more than three years” Yasushi (head designer at Ogasaka) explained. In fact, Ogasaka is one of the oldest Asian ski factories, dating back to 1912. 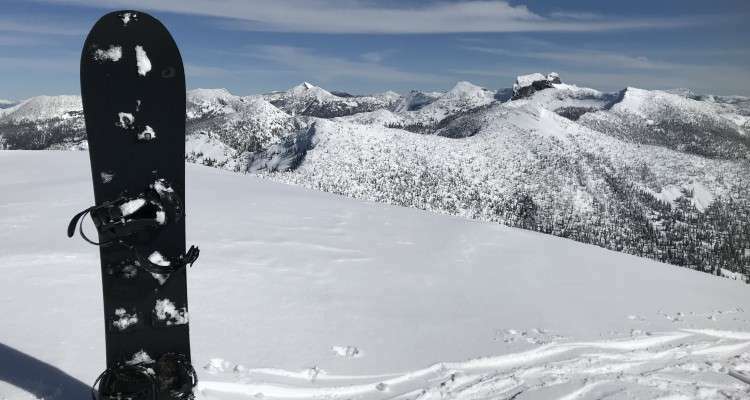 I was completely sold that the Facet is one of the worlds best designed splitboards after learning about the trials, tribulations and successes Yasushi has underwent on splitboard materials and manufacturing. Dudes basically a mad scientist! The camber/rocker profile looked and felt very fluid, which is crucial in offering the perfect turn. 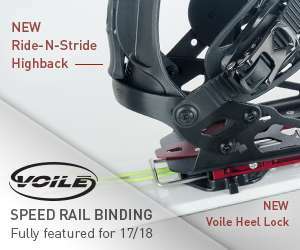 At a closer glance, I noticed what Larry had pointed out: “no movement in the edge interface” which signified a well designed and built splitboard. 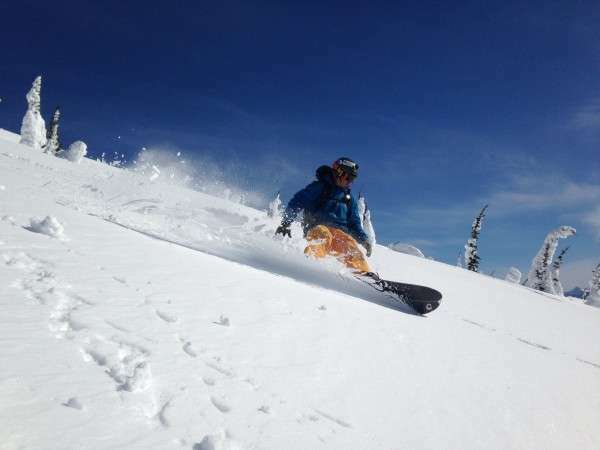 As a surf oriented snowboarder, I enjoy some torsional flex and the 164 Facet has just enough to elevate my riding style with its medium torsional flex. Weight wise, the Facet felt strangely light and nimble. Leading all three of us to questioning its construction and materials. I literally thought the core consisted of mostly weight saving carbon. 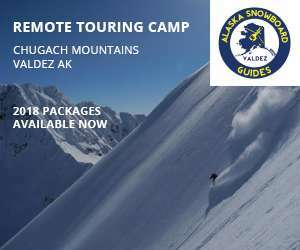 To me, the Facet harnessed a special element that screamed “fun” on all snow surfaces and terrain the mountains can dish out; versatility and adaptability that is crucial with the changing conditions found in a day of touring and descending thousands of meters. Yasushi at Ogasaka had taped up a suggested stance width, which I narrowed up a bit and with the spring powder in full effect, set back. Everything in its right place. Game on! The steep and narrow descent is where the Facet shined, as she jumped and carved more like my 156cm than her true 164cm length. 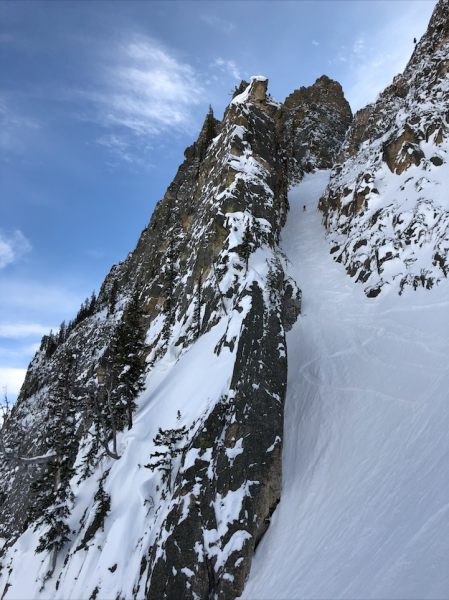 This classic Teton couloir presented a “no fall zone” for the first two thirds and I never once felt like the Facet was out of its element. The crux was a narrow 100 meter ice luge of sorts. I’m talking about 120cm in width and steep and long enough to not be straight lined in most conditions. Very similar to the terrain of the San Juan Mountains of SW Colorado. In the Sierra, Colin found similar riding results on the 158cm, “Between the core construction, the camber, and the stiffer blunted tail, the board had great energy coming out of turns or popping around terrain.” I was a little uncomfortable to bend the split as was necessary through the ice crux! I guess I had a little PTSD after snapping my last split. But, I sent her anyways (this is a gear test right?) and she went splendidly! I would go on to ski a few more esthetic and committing lines in the park before we headed off to Europe. 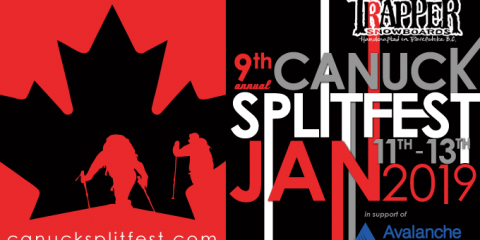 The split held up well on the up and performed like a hot knife through butter on the down. Whether we rode chest deep blower or blue ice, I learned to place trust in the Facet. Fun wise, I usually dig alternative shapes and the facet had just enough funk on the nose and tail for me to have a great time. I’ll go on to more riding details below. The Facet proved to be a big asset while riding in France, Switzerland and Italy. We rode spicy recycled powder, great corn, fun hot pow, dangerous wet snow, blower pow and fun hot pow (again). All in chronological order. A few days in Chamonix were so warm, I decided to spin trams, gondolas, and chairs on piste, as bonking and jumping transitions was way more fun than risking life in the wet slab danger out the gates. Every rope or sign jumped was a breeze thanks to the pop from the abundant camber and stiff tail. And the art of the turn…. Ogasakas claim to providing the perfect carve was unmatched as I put the Facet this way and that on rail at ease. Jeff Steele put it well when he stated “that board was built for turning”. Out on the Valle de Blanche and The Argentiere glaciers is where the real big mountain proving ground was found. While climbing over “no fall zones” above deadly bergschrunds, the shape and its camber profile held well. While climbing, I did find that I prefer a little stiffer core and the “magne-traction” found on the inside edge of my last carbon split. Ogasaka did drop the HF Facet this spring (probably around the time I was in the alps), which stiffened the board 30% for bigger riders with bigger packs and more gear. I’m not sure I would have preferred the HF as the standard model rode like a dream, but the extra stability would have been nice while touring above bergschrunds of death and pointing it like a bat out of hell in the most critical of terrain. All in all, the longer board provided lots of surface area to hold my ground and the size did not stop this tester from kicking in solid kickturns. Larry concurred, “the 5mm of camber showed well on the up”. On the way down, the board’s energy felt very nimble and quick, yet stable and powerful. The best of both worlds! While riding inbounds at hyper speed in Whistler, Colin found “ the board railed and held a predictable edge”. 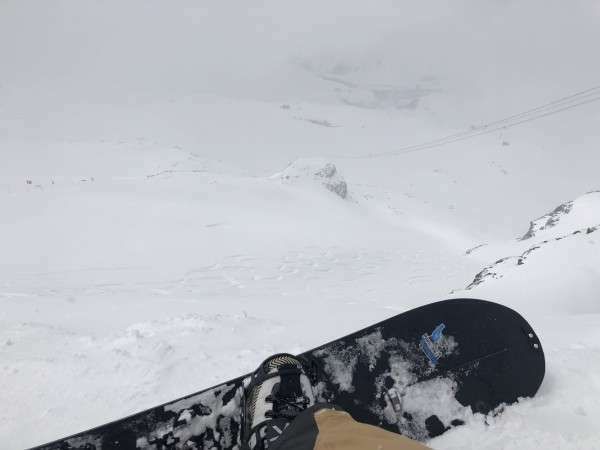 We would soon get skunked by isothermal snow in the French Alps and bounced to portugal for some surf, only to return to DEEP late spring conditions in Zermatt and Cirvinia. After a banner snow season in this part of the Alps, the base was endless and we lucked out on 2.5 meters (8.2 feet) of fresh snow in six days. This was truly the best proving grounds for the Facet as big, untracked lines were everywhere a rider could look. With the stance narrowed and setback, the Facet passed the float test no matter how deep of snow I put her in! Visibility was downright scary sometimes, but with trust in the shape, I found intense pleasure reading and riding the contours of the mountain. Being my first time in Europe, I was astonished how the terrain beckoned to the Facet with its natural banks, bowls, hips and endless waves. The Facet’s uncanny ability to pump out of the turn and hold edge with classic backside hand drags was incredible. The 164cm Facet rode all of these features like Gerry Lopez’s guns ride Bonzai Pipeline. Straight dreamy! It’s as if Yasushi had the big mountain Alps in mind when designing this split. After 30+ days of touring and five days spinning chairs, gondolas, trams and even trains; this splitboard stands out on so many levels. The Facets keen ability to adapt to anything and everything the rider throws at it is astounding. The time, energy and focus that went into its construction is nothing short of breathtaking. 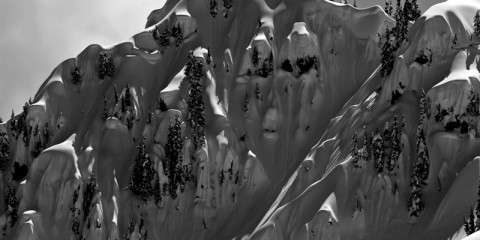 The Facet’s ability to whip, pop, carve, snap and hold an edge on every snow surface is what snowsurf and big mountain snowboarding is all about. 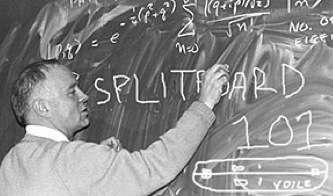 The only negative point all three of us could find in this split was in the durability of the glass fiber top sheet, which kind of peels away after heavy use. 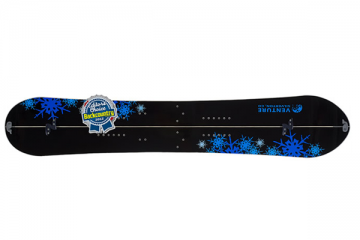 Similar to the ultra light top sheets of K2’s splitboards. This is strictly cosmetic of course, as Yashushi has placed ABS underneath the topsheet, completely sealing the core from water damage. Always one step ahead of us, the ‘18/‘19 Facet line will have a tapered side wall and beveled edge to reduce the likelihood of chipping. 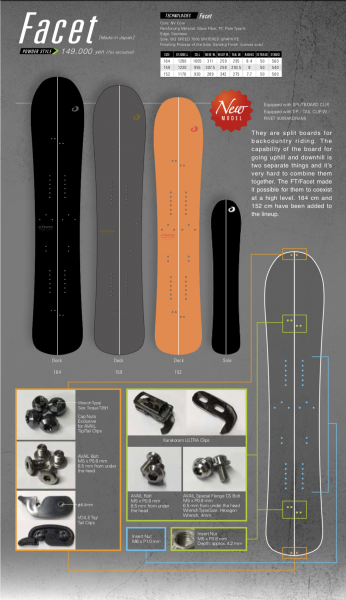 I would recommend the 164cm to experienced riders looking for one splitboard that can excel in every direction he or she wants to set forth. Ogasaka also offers this split in a 152cm (mostly for the ladies) and a 158cm (Poplar core) for intermediate/smaller riders. If you’re in between sizes here’s some solid knowledge Colin dropped who rode the 158cm; “I normally ride a 163-164 and was worried about the float with the 158. The board floated like a dream and the smaller responsive size had a skateboardesqe feel”. 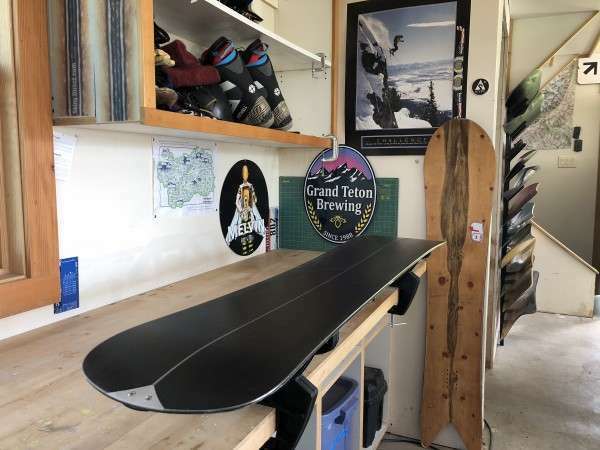 No joke, after riding and testing dozens of splitboards for twelve years running, this shape’s construction and balance stood out amongst the pack. It does come with a few drawbacks though: the peeling top sheet, very limited international distribution outside of Japan and also a heavy price tag around $1,300USD. If you can get your hands on this shape, grab one! You won’t be disappointed! Check out the Facet and the other Ogasaka shapes at here. That was a great review and photos to boot! Loved it!